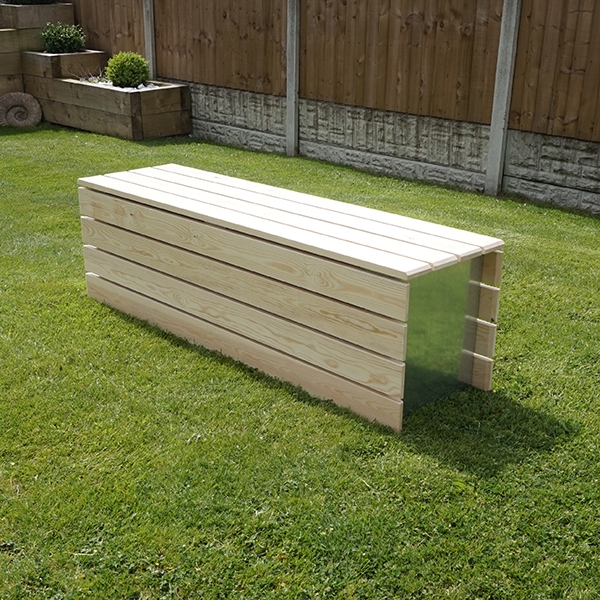 This beautiful Modular Accoya Wood Bench is manufactured from premium quality galvanised steel and clad with low maintenance Accoya wood. 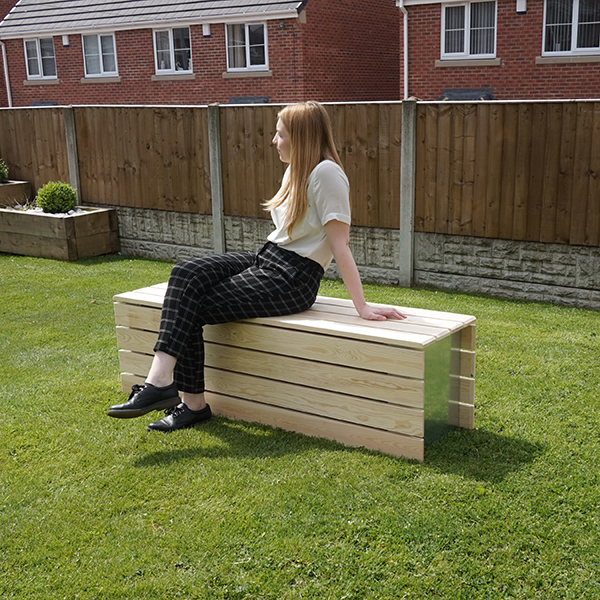 Designed to offer a stylish touch to outdoor areas such as parks, business grounds, schools and universities, this Accoya clad bench offers a low maintenance option with quality and durability in mind. 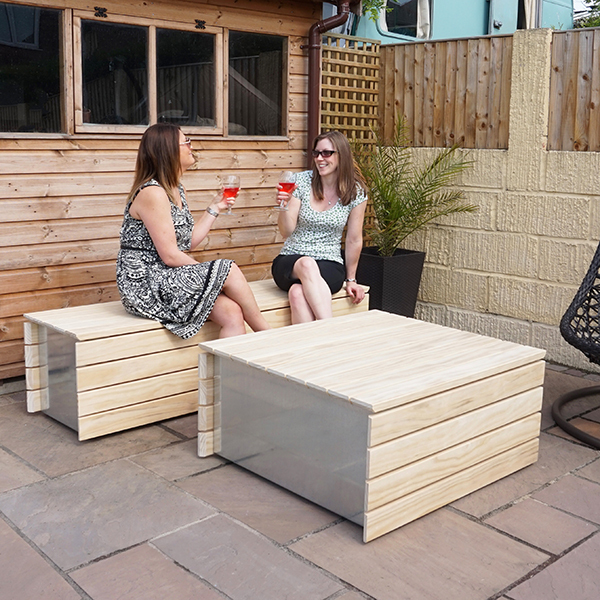 The Modular Accoya Bench features four Accoya slats covering two sides and five slats covering the top. Shown here in a natural oak finish with a galvanised steel frame, this bench comes with feet attached in order to keep it raised off the floor where any ground level moisture may affect it.